Providing our Michigan clients with skilled trial and transaction legal services Since 1973, Moher and Cannello, P.C. has been delivering sound, cost-effective legal solutions to individuals and businesses throughout the Midwest with a focus on Sault Sainte Marie, Michigan. Our clients receive welcoming and superior service from Steven J. Cannello, an experienced, accessable, caring and effective attorney and Bridgette Moher, a skilled legal assistant dedicated to exceptional client support. This is the legal team you can count on to achieve a just resolution of your legal issues. We protect clients as they navigate the legal challenges and changes in their lives and business. We help clients achieve goals whether forming a business, settling a contract dispute or protecting their loved ones with a valid estate plan. We pay attention to every detail of your case from initial consultation until the resolution of your legal matter no matter how complex. Moher and Cannello, P.C. provides comprehensive representation in the following areas: Real estate Business and commercial law Wills, trusts, estates and probate We take pride in the lasting relationships we have built with clients. Steven Cannello was born in this area and chose to live and practice here as well, cementing his committment to safeguarding the Michigan community. Successfully serving clients in Michigan and the Midwest Moher and Cannello, P.C. represents individuals and businesses in the Midwest including Wisconsin, Ohio, Illinois, Indiana and the Eastern Upper Pennisula of Michigan, focusing on the cities of Sault St. Marie, Newburry and St. Ignace and Chippewa County, Luce County and Mackinac County. 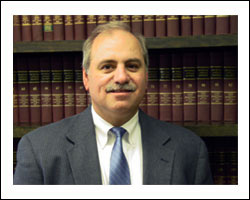 Steven Cannello has earned the respect and referrals from clients and the Michigan's legal community. Mr. Cannello has achieved an AV Preeminent Peer Review Rating from Martindale-Hubbell a distinction signifying the highest quality legal work, professionalism and ethical standards. Our firm works with law firms in and out-of-state and we ensure that your client will receive the best possible representation with us. Preeminently Rated Attorney Handling your personal and business legal needs in Sault Sainte Marie When you need experienced and skillful legal representation in Sault Ste. Marie, call Moher and Cannello, P.C at 906-632-3397 or contact the firm online to schedule your free initial consultation. Preserving your family's wealth for future generations Whether you're planning the parameters of your future medical care or establishing support for loved ones upon your death, Moher and Cannello, P.C.can help with all aspects of trusts and estates issues, including: Estate planning Estate administration Estate tax issues Choosing the appropriate executor Guardianships Powers of attorney Living wills Living trusts Wills drafting . Securing your legacy You work hard for your family, so knowing that you have planned for their long-term well-being and financial security can bring you comfort. We thoroughly analyze your estate and strategize the best means of transferring your assets, minimizing taxes, establishing guardianship for your children, caring for your pets, supporting personal philanthropic causes and protecting your loved ones. Draft your living will and last will and testament A will is essential at every stage of your life. Your living will sets the parameters for medical intervention should you become incapacitated. This assures that when you are most vulnerable, your wishes will be honored. Your last will provides the opportunity to distribute your property, establish care for your children and otherwise express your wishes upon your death. A will is necessary if you intend to leave property to a person or entity other than a blood relative, such as a domestic partner, a friend or a charity. If you die without a will, the court determines how your property is distributed, who cares for your children and even what happens to your pet making decisions that might not reflect your desires. We can draft valid wills that ensure your intentions are honored. Changing your will As your life changes, so might your estate plan. You may need to update your will throughout your life. We draft valid codicils that address changes in your financial situation, marital status, number of children, philanthropic interests and general lifestyle decisions. Creating a trust We help people create trusts to ensure that their assets are properly managed and held for the future use of their family members or designated beneficiaries.The assets held by a trust can be used to pay for necessary medical, educational and health-related expenses for the trust's beneficiaries. Because a trust is designed to exist for a certain period of time, the courts require that a trustee is chosen to administer and be responsible for the management of the trust. Trusts may be included in your will or as a separate legal entity. Sometimes trusts are used to avoid the probate process or to minimize estate and income taxes. Appointment of guardianship If you have minor children, your will allows you to make decisions about their future care. This is especially crucial if you are a single parent or if both parents die in a common incident. If you do not name a guardian, the court will appoint a guardian for your children and can make decisions adverse to your ultimate parenting goals. You can also make arrangements for your pets' care in your will, including naming a guardian to take responsibility for your pets. Probate We apply our extensive knowledge about the Michigan probate court to guide you through the complex process of probating a will. We assist executors in all steps of the process, including: Creating a plan of action to probate the estate fairly and expeditiously Filing the will with the Michigan probate court Closing and opening bank accounts Transferring assets from the deceased to the estate Valuating the estate Managing and liquidating assets as appropriate Paying taxes and other debts Locating beneficiaries Hiring professionals and experts when necessary Probate disputes When disputes occur between beneficiaries, we successfully represent your interests. We have the extensive knowledge to challenge invalid wills or to defend valid wills against the improper assertions of dissatisfied beneficiaries. We are skilled in mediation and litigation, and can negotiate between beneficiaries to preserve relationships or diligently pursue your rights in court when necessary. Contact an estate planning lawyer you can trust For estate planning services in Sault Sainte Marie and throughout Michigan, call K. Dane Mills, Attorney at Law, PLLC at 757-428-0550 or contact the firm online to schedule a free initial consultation.